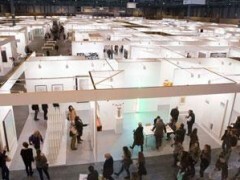 ARCOMADRID is one of the most consolidated contemporary art fairs in the international scene with the participation of several countries from all continents and an important presence of Latin American galleries. ARCOmadrid, gives a special role to the agents of the art market who with their experience and knowledge enrich the International Contemporary Art Fair at each edition. Artists, traders, museum directors and art collectors together with critics and historians form the cultural framework around which this debate table stands, making the city of Madrid the center of attention of all art experts. In addition to the exhibition, prestigious professionals, intellectuals, artists, philosophers and foundations will participate in interesting round tables and meetings.